Ahh, another cat comic, another casualty. 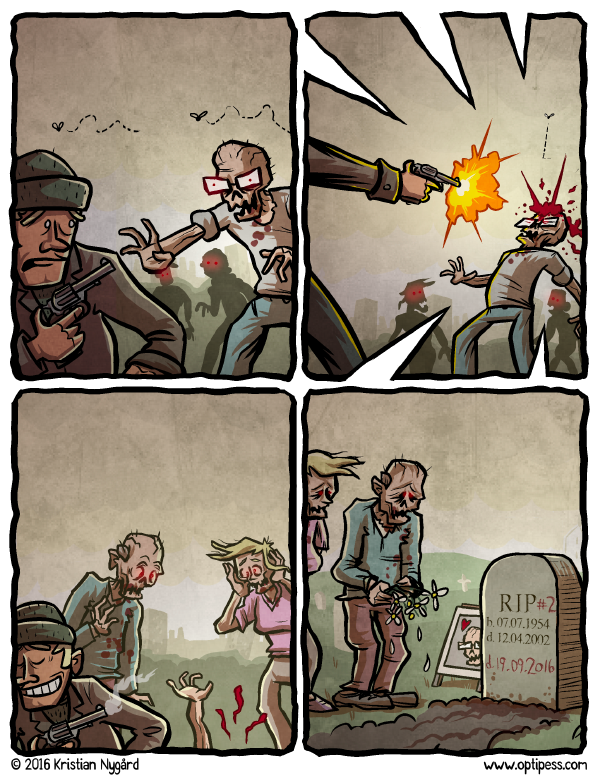 Also, be sure to check out a previous comic with these beloved characters – with even more casualties! Also, never forget the horrible fate of the not so incredible Man-Spider. Oh, and Happy Thanksgiving to my American readers! This kid is going places! Like, for example, probably the White House in just a few decades. Someone has to say it, and I guess the responsibility falls on me. So here goes: “This comic is shocking.” Edit September 16th, 2016: Phew, my super busy past couple weeks are OVER and DONE with. I will celebrate by returning to the regular comic schedule on Monday! It’s Friday! But don’t worry, a new work week starts in just three days. Aww! Such a misunderstood species. Another joyful comic! Alternate title: “Paper Weight”. I did a lot of research for this comic, I mean, – phew! – A LOT of research. Huge thanks goes to my friend for lending me a toy I desperately needed for reference! 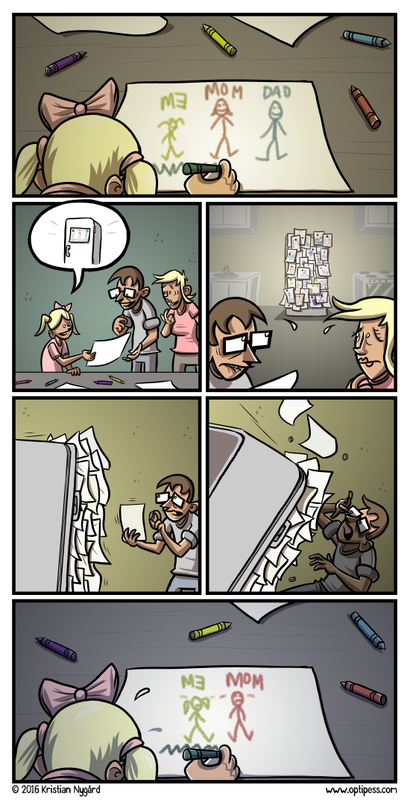 Oh, also, this comic is loosely a continuation of this comic and this other comic from five years ago. 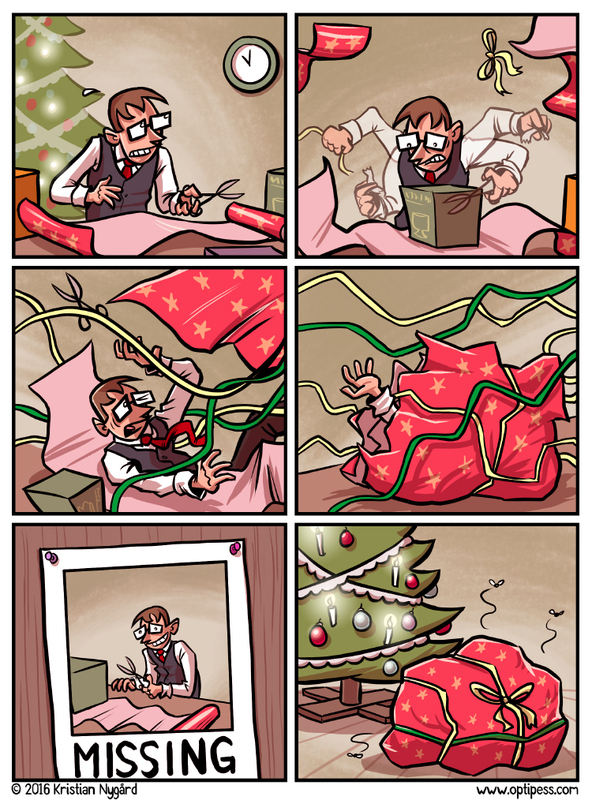 Yup, this comic is kinda the sequel to the Optipess classic “The Ride” from a few years ago. Vroom! Edit February 26: Due to life stuff, no new comic until next week. Damn “life stuff”, always getting in the way of making comics! Hm, I almost named this one “The Truth”.